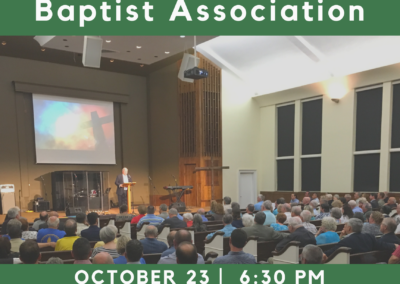 We will be honoring churches for how they have honored God through their baptisms, giving, ESL involvement, Disaster relief involvement, church planting involvement, Hullander Scholarship recipients, Church and staff milestones, evangelism, seminary involvement, incoming committee members and trustees. 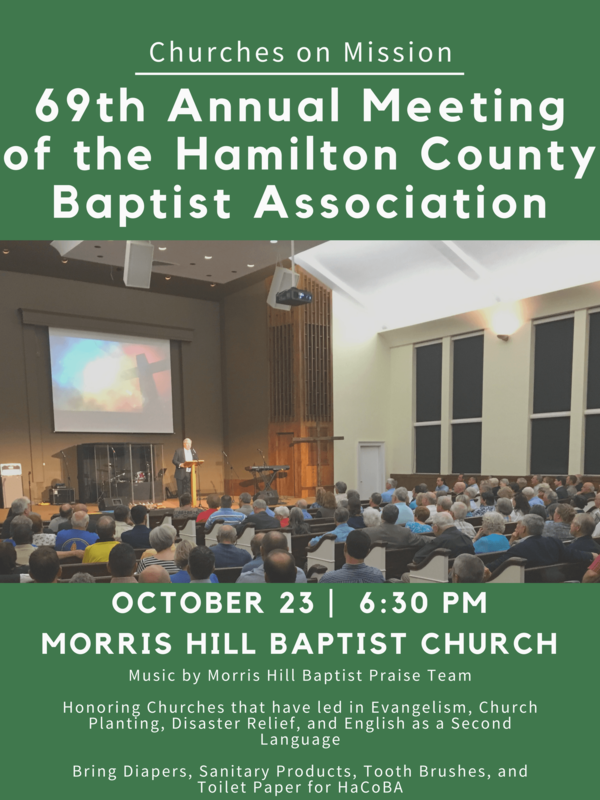 We will also be honoring specific ministries within the association: WMU, Disaster Relief, Christian Women’s Job Corp, the UTC’s Baptist Collegiate Ministry, HaCoBA Care, World Changers, and more. 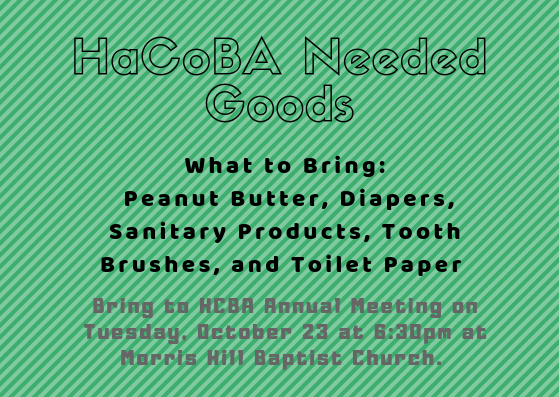 We will also be collecting for HaCoBA. 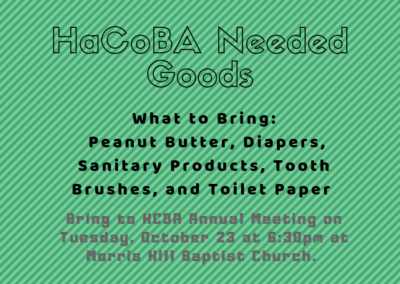 This year, we ask that you accumulate and bring the following items to the meeting: diapers, sanitary wipes, tooth brushes, and toilet paper. Each church cooperating with the Association shall be entitled to two messengers for its first sixty members, or fraction thereof, and one additional messenger for each additional hundred members or fraction thereof, provided, however, that no church shall be entitled to more than 15 messengers. There is no need to RSVP. Just be prepared to sign in upon arrival.